Amy in the Checkout Line…. Am I allowed, legally, to share, discuss and promote products that I like? I know you’re not legally allowed to use the internet to complain about contractors or businesses, however much they might deserve it. I’m hoping that if I only say nice things about products and companies that are superior, and I don’t snip behind anyone’s back (“Did you see what that ‘organic’ farmer-babe was NOT wearing? 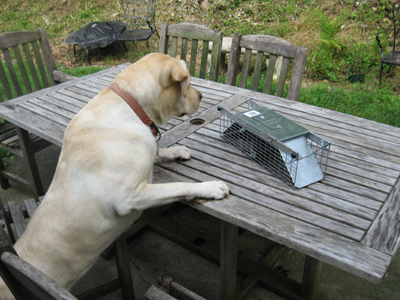 Nothing natural THERE….”), that I won’t be hauled into Blog Court. A big thank you to my friend, the actual real-life professional organic farmer, who so patiently answers all of my questions. She gives wonderful advice. So the first recommendation for the checkout line I have is to go to her website, listed on the right side of this blog. She is Kitchawan Farm. She is a bright light. And she recommended the fertilizer, slug bait, and OMRI to me. Sounds like I need some of that. I went to a store in Bedford Hills, NY, (pretty swish town) and bought an 18 oz. bottle of Neptune’s Harvest Fish & Seaweed Fertilizer for the jaw-dropping price of (about) $35. But I was assured me it would last at least two seasons, it was OMRI-endorsed (I’ll get to that in a sec), and…the bottle just had a good wholesome heft in my hand. I know. Not rational, but are you always rational when buying pretties for yourself? The bottle lasted 1.5 seasons, and produced astounding results. 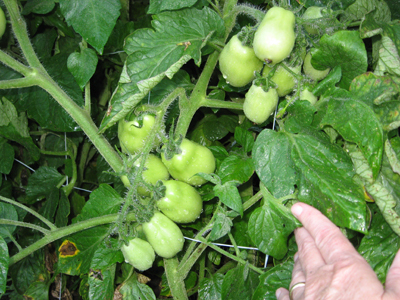 Here’s a photo of my tomatoes this year – very heavy feeders – and Neptune’s Harvest has them practically growing, harvesting, and cooking themselves, right on the vine. I used it all up. Husband was going to Agway on his way to a northern art gallery, and agreed to stop and buy me another bottle. He bought a 36 oz bottle of Neptune’s Harvest Fish Fertilizer for the shockingly low price of $17. To be honest, this larger bottle did not list the second ingredient of seaweed on its label, so we’re not comparing identical ingredients – but pretty darn close. Especially when the price different is four-fold. 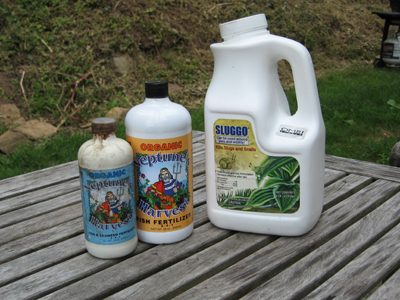 Here is a photo of the two bottles I have purchased (ignore the Sluggo bottle for now, please). Compare the sizes and costs for yourself! I’m feeling pretty smug about that bigger bottle. I appreciate Agway’s understanding that chipmunks are not innocent eaters of a gardener’s plants. They destroy “seemingly just for fun.” How well I know this. MacKenzie knows this too, and uses every one of her 80 pounds to protect her delicate Mom from the marauders. What’s next? 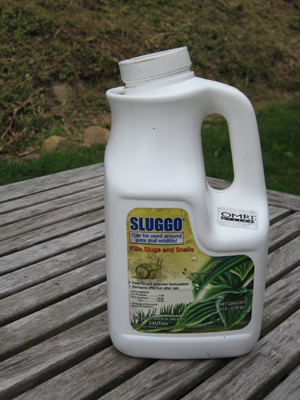 Slug bait! Once again, Farmer Friend recommended an OMRI product (I will get to OMRI, promise!) called Sluggo. But really, all I needed to know was this: Farmer Friend said, “If you see the OMRI label, you’re certain it’s a genuine, organic product. You won’t go wrong.” She was right, as always. 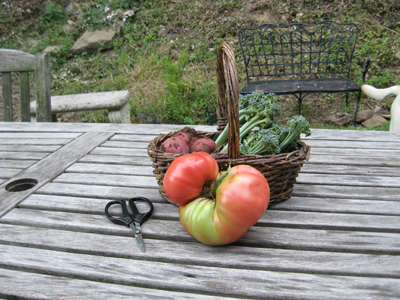 And to conclude: here is a basket of happy vegetables harvested for a simple Tuesday dinner. We eat like kings and queens in the summer. And…if I get my way about building an Eliot Coleman-style cold frame, we’ll be eating like the King and Queen of Fresh Greens all winter, too. If he can do it in Maine, I can do it in Yorktown Heights. More on that later.